KOINOBORI Associate Inc has focused on mitochondrial diseases and has worked to establish a specific, effective treatment. 7SP is a drug development project to develop new treatments and provide knowledge for the public in order to improve the quality of life-based on new specific hypotheses conceived through our activities. The origin of 7 SEAS (“Nanami” in Japanese) comes from the name given wholeheartedly to the beloved daughter of one of our members who loves the sea. Nanami was diagnosed with a mitochondrial disease called Leigh’s encephalomyelopathy at five months of age, and although her doctor declared that she had only six months to live, she is still living with her parents at the age of six. 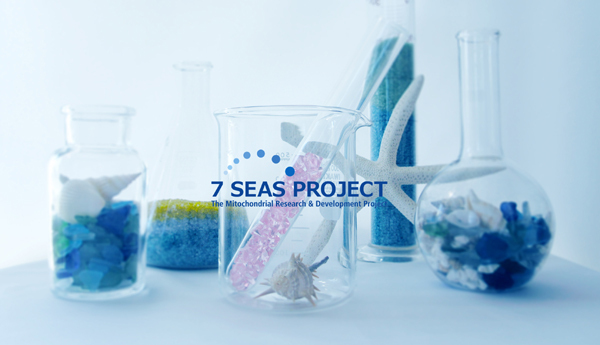 KOINOBORI conducts active support of 7 SEAS PROJECT, such as fundraising, research and development, and business development, and it supports the expeditious provision of innovative treatment.